This letter may run a little longer, but next week I promise to get back to the typical 3,000 or so words. Today is just you and I having a conversation. Pick up your favorite beverage (for me, it’s a glass of coffee or tea now), sit back, and let’s chew on the world. Last week. I argued Jerome Powell did the right thing by raising rates a mere 25 basis points. He forcefully declared the Fed’s independence from the market and politicians for the first time since Volcker. Greenspan, Bernanke, and, in particular, Yellen all gave the markets a “put” option—basically a third unofficial mandate to make sure that asset prices keep rising. Now, of course, that’s not the way they would express it, but that is, in fact, what they did. They created a series of bubbles, which spectacularly (and predictably) blew up, particularly screwing the little guys who didn’t know better and could least afford losses. We should not be where we are today, and we would not be here today, without their seriously screwing up Federal Reserve policy. But they had the hubris to take credit for fixing the crises they created. Exactly like the arsonist taking credit for fixing the fire he started. They have no shame. Jay Powell is not the culprit in raising rates. The main problem is that Janet Yellen failed to raise rates before him, and I think she did so out of political bias for a Democratic president and then to help a Democratic candidate (Clinton). She would vigorously deny this, of course, but if it looks like a duck and quacks like a duck…. The Federal Reserve was not independent of either the markets or politicians during her watch. Shame on her. Double shame on her! Now, having said Chairman Powell did the right thing, let me tell you where he and the current Fed leaders are royally screwing up making a mess. I’ve mentioned it before, but I want to highlight it as we go into the New Year. This is critically important. No serious scientist would run a two-variable experiment. By that I mean, you run an experiment with one variable to see what happens. If you have two variables in your experiment and something either good or bad happens, you don’t know which variable was the cause. You first run the experiment with one variable, then do it again with the second one. After that, you have the knowledge to run an experiment with both of them. The Federal Reserve is running a two-variable experiment without the benefit of ever having run a one-variable experiment to determine what the results would be. 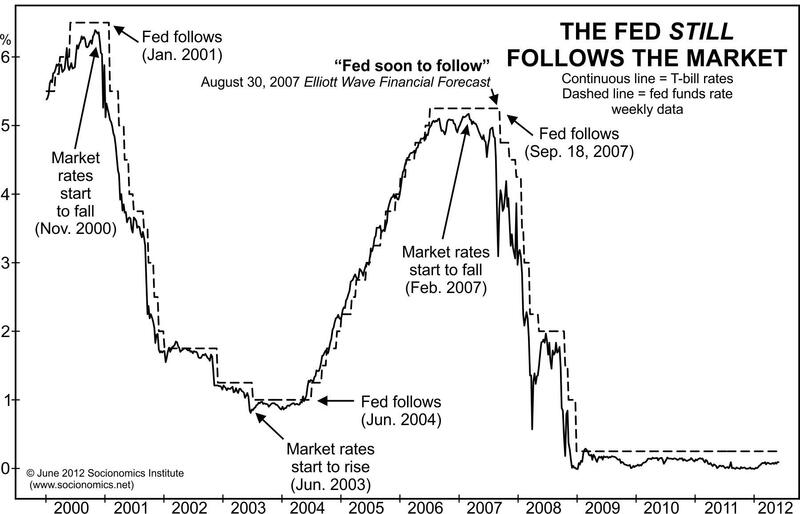 It is decidedly the stupidest monetary policy mistake in a long line of Fed mistakes. What are the two variables? They are raising interest rates (albeit slowly) and aggressively reducing their balance sheet. I think many of the problems we see in the market are results of this combination. They should do one or the other, not both. Of these two, everybody wants to blame the last rate hike, but let’s look at the other variable. While the Fed radically reduces its balance sheet, the European Central Bank is also ending its QE (quantitative easing), as are other central banks. They are taking away the market’s crack cocaine. Note also that all of the crack cocaine QE began to disappear worldwide toward the beginning of October. While I realize correlation is not causation, especially with only one data point, I find it suspicious that the markets turned volatile about that same time. I find it just as plausible that the balance sheet reduction is as responsible for the market volatility as the increased rates. If QE made the markets go up, especially in concert with the ECB, the Bank of England, and the Bank of Japan, then it’s no surprise if ending it makes the markets fall. Let’s get real. The Fed Funds target is now at 2.25%, barely above inflation. Zero real interest rates mean they are still essentially giving away free money, and free money causes bubbles. If Powell was trying to “lean into the market” and cut off budding inflation (that frankly I don’t see), he would have rates at 4% or 5%. Now that would mean we should blame the Fed for pushing us into recession and other bad things. But, in fact, rates are still barely over inflation. Janet Yellen should have had them there four $#%%! @#$$ years ago. You want to castigate someone? You want to point fingers? Janet Yellen and the two previous Fed chairs are good places to start. Powell and the Federal Open Market Committee listen to extremely smart PhDs from all the best schools with their fabulous multi-algorithmic models, which prove that you could raise rates and reduce the balance sheet at the same time with no problems. Bluntly, those smart people (many of whom are actually quite brilliant, and I’m sure they are nice people, and their kids and dogs love them) mistakenly trust models based on past performance, and even worse (much, unbelievably, really badly, worse, which I can’t emphasize enough!) on monetary theory that is clearly, evidently, badly, manifestly wrong. They have been using these models to forecast future market actions and the economy for decades, and they are about 0 for 300 in being right. It is statistically impossible to be that bad unless your models/assumptions are fundamentally flawed, which they are. Their underlying economic theories manifestly don’t work. Because they have no politically and academically acceptable theories to substitute, they are slaves to their own mal-education. They think this makes them smarter than the markets. I can’t say it any stronger than that. I have actually been in the room when someone was aggressively (I use that word precisely, as it is the correct word for that particular conversation) remonstrating a Federal Reserve economist about said models. He went so far as to say that the best thing that Powell could do would be to fire all those PhDs and ignore their models. As you might imagine, the Fed economist was not happy with that analysis. The veins in his neck were popping, he was red faced and his voice was raised. Having known him for 10 years, I was rather shocked. He is actually a rather mild-mannered guy. But this clearly got his goat. Personal sidebar: my day job for the last almost 30 years has been to look at money managers, who usually have a model that looks at past performance and projects it into the future. Every hypothetical performance model I have ever seen looked absolutely awesome. I can’t say that I’ve seen a thousand of them, but it is not an exaggeration to say that I’ve seen more than a few hundred… well, maybe many hundreds. And then I have observed the performance of those models after I have seen them. Bluntly, it makes me skeptical of all models—including the ones that I build myself. When I say the words “past performance is not indicative of future results,” I damn skippy mean them. All past performance models were built in a particular macroeconomic environment. Unless you can find a macroeconomic environment that is similar (as in, very closely similar) to where we currently are and where we are currently going, your particular model deserves a tad bit of skepticism. Maybe it will work and maybe it won’t. It is up to the macro analyst (that would be guys like me) to try and figure out which one will work well enough to confidently invest your money (as in, your money and mine). I’ve also looked at a lot of macroeconomic models. You can’t understand the depths of how much I would deeply love to find a macroeconomic forecasting model that was actually reliable. To have such a crystal ball would not only be soul soothing but also extremely profitable for my clients and, admittedly, me. It would be the Holy Grail. All those PhDs at the Fed still haven’t found the Holy Grail after 40 or 50 years. Hell, they haven’t even found a decent cup of coffee. But they think they have, so their bosses confidently run a two-variable experiment with our economic system. However, they also need to end this two-variable experiment nonsense. It is a major monetary policy mistake. Powell should call an emergency FOMC meeting (as in, next week) at which they suspend the balance sheet unwinding. One thing at a time. That is not responding to the markets. It is correcting a prior policy error. And with all that said, here are some personal notes. Shane and I have been having long talks for the past year. We’ve both lived in Texas all our lives. Texas is the greatest state in the Union (at least, according to our admittedly biased opinion), but for various personal reasons we both wanted a “reset.” Even though we love our home and Dallas is probably the best place in the world for somebody who travels as much as I do, we needed a change. Bluntly, life had lost a little bit of its “joie de vivre.” My work, which is absolutely the best in the world, a true dream job, is a gift to me. But over the last year or so, it became, well, work. And it was beginning to show up in my writing style, my attitudes about deadlines, and in my personal life… which Shane gently and kindly pointed out. She also said that, I swear to God, that I needed to get out and swing a golf club to loosen up because I was stiff. When was the last time a wife said, you need to get a golf club in your hands? So, after 20 years of not golfing, I bought a custom set of golf clubs (when did these things get so expensive?) and actually used them on some course in Georgia for the first time. For the price I paid, I thought they should have magic in them. Turns out, they were merely expensive golf clubs designed for my old-man swing, and there was no magic. I played the worst golf of my life… but walked off the course feeling better than ever. I could see my life changing, at least on a physical level. So, two parts to the puzzle: We needed this change of location, and I needed somewhere I can golf year-round, or at least go to the driving range as I don’t have time to play two or three games a week. Fortunately, even 30–45 minutes on the driving range helps a lot. And who knows, maybe I’ll even learn to make contact with the ball again and watch it go forward. Maybe not far, but at least straight and in the air. Shane and I are not cold-weather people. She is a beach lover. So, we needed year-round golf and beaches. And, of course, a good gym and an airport with lots of connections, and someplace we could make new friends. A real community. I have been to 65 countries and all 50 states and most of the provinces in Canada. So, it’s not like I haven’t looked around. Savannah was a possibility, as was Florida. But once we started looking in that direction, our eyes drifted south and we looked at the Caribbean. There were some real possibilities. But for our personal needs, Puerto Rico stood out like a flashing beacon. We made some exploratory trips, and the more we looked, the more we liked. And yes, there is a powerful tax break if you live more than 183 days a year in Puerto Rico. Looking at my calendar, I spend an average of 240 days a year in Dallas. So, no problem meeting that residence requirement. And my businesses are well-suited to be moved to Puerto Rico. So, sun and beaches and golf and a great gym, and we have found an amazing community that we are quite comfortable in. We physically moved December 7. Turns out, it was party season here. (Christmas and all!) We began to meet our neighbors and already have many new friends. Almost everywhere I go, somebody comes up and asks, “Are you John?” We quickly trade phone numbers and set up times for lunch or dinner. Turns out that I have a number of friends here already. Just ones that I hadn’t met yet. All that to say I am more charged up and excited about life than I have been a very long time. Oddly (for me), I’m waking up early in the morning and getting down to my computer as soon as I can. I can’t wait to begin the day. With this new energy I could probably write two or three letters a week. But I’m not—it would be more than you need to read. I will channel that time into actually writing my book and other things. My friends and business partners have noted, with no prompting on my part, a new tone in my voice and passion in my writing, all for the better. So, even though we will keep an apartment in Dallas after my condo sells, and it will be our “US base,” as we do have family there, we have found a new home. Getting to the West Coast will certainly take longer, but there are direct flights from San Juan to all over the East Coast, Chicago, and Dallas. And frankly, a nice seat in an airplane is just like a second office to me now. I have even been able to get shorter books completely read on a flight, with highlights and notes—a very good use of time. And Puerto Rico is a US territory, so no customs as we travel on our US passport. And yes, the 4% total tax rate and 0% capital gains is attractive. I wouldn’t for one moment deny it. But it is not the main reason we moved here. We can get everything we need at the local Costco, Home Depot, Best Buy, and all the other chain stores that you would expect to find on the mainland. Amazon delivers right to our doorstep. And there are amazing restaurants and places to see close to us. It is a pretty small island. I wake up, come to my computer to get a start on the day. When the sun gets a little higher, I go sit out by the pool to catch a few rays and make my phone calls. I am currently the whitest white guy in Puerto Rico. I need to slowly change that. And Pat Cox tells me sunshine is a great source of vitamin D.
I know this will create an interest in Puerto Rico for some of my friends and readers. If there is enough interest, I and some of the locals will hold small seminars here and introduce you to some of the contacts you would need to contemplate such a move. I was lucky in that the son of my longtime CPA is now a mature young man whose business helps people navigate the admitted cultural and economic/business maze that is Puerto Rico. Paraphrasing the ad, don’t leave home without him. Or someone like him. Even the Wall Street Journal is raving about Puerto Rico. In a recent article headlined Puerto Rico on the Rebound: A Three-Day Getaway Guide, it extols the virtues of a vacation here. Look me up if you come to Dorado, as they suggest. You really need to read Jonathan Tepper’s new book, The Myth of Capitalism: Monopolies and the Death of Competition. Admittedly, I may be a little biased, as he co-authored two of our best sellers, but this book is just out-of-the-ballpark good. He highlights a real problem, the growing monopolies and duopolies all over the developed world and the regulatory systems which favor them and stifle competition, and offers some solutions. You can’t invest today without understanding this. Get this book and read it. I can’t say it any stronger. Let me remind you that I have written multiple times in the past that if bear markets, (which we clearly just entered and may not be through with) are not accompanied by recessions, they generally end in a V-shaped recovery. Admittedly, we were already in an overbought and overvalued market, so I’m not sure what the word “recovery” means in that context. But Wednesday was clearly a short-covering rally. How do we know that? Because all of the stocks which had the most shorts on them recovered the most. Case closed. I spent two days at the Cleveland Clinic seeing about 10 doctors in their executive wellness program. I wish all of my readers could go there or somewhere like it. I want to be writing for you for a very long time. I need us both to be healthy. Shane went with me. She got a perfect bill of health. Me, not so much. They proved irrefutably beyond a shadow of a doubt that I am getting older. My cholesterol has gone off the charts. I have a little plaque starting to develop in my carotid artery. I am developing cataracts (which means three more trips to Cleveland in the next few months so they can replace my eyes) and several other minor issues. They told me what I needed to hear, not what I wanted to hear. Kind of like some of my letters to you. What I learned was even more reason to move to Puerto Rico. Fresh fish, which is available locally, is now a mainstay of my diet. Well, and chicken and turkey and vegetables. No more cream in my coffee (Shane has me on almond milk) and no cheese (ouch and multiple groans!). And egg whites for breakfast, although she has found some nondairy cheese substitute to soften the no-cheese blow. As I periodically say, I read all the letters and comments you send. They are important to me, and I find that the new energy I have discovered in Puerto Rico lets me reply to more of them. I just can’t help myself when they are particularly well written. I can’t end the year without giving a major set of thanks to my Mauldin Economics team, without whom none of this would be possible. Just as many major thanks need to go to my business partners who help me in the money management side of my life. Without them, I couldn’t do what I do. I am one seriously blessed man. Part of the reason for moving to Puerto Rico is to give all of “Team Mauldin” a bigger hand in running the business side of my world, so that I can do more of the reading and research and writing and speaking and thinking that I like to do. It is the best thing that I can do for my readers and clients, not to mention for myself, and I am truly grateful. All I now do is say, “We are going in that direction!” and they take off. 2019 is going to be the most awesome year ever. A special shout out to Jared Dillian, one of the co-writers here, whom I have watched for the past five years develop into an outstanding newsletter writer. You really should subscribe to his Daily Dirtnap and his other letters. Some of us of an older generation might not get some of his cultural references, yet once you get into the swing of things, you realize that he has an excellent feel for the market. As good as anybody I know. Note to President Trump: stop with the blame game already. Don’t take credit for the markets, whether they go up or down. Yes, of course, you get blamed when the markets go down, but it’s not your fault. If you want to blame anybody, blame Reagan and Bush and Obama for appointing Fed chairs who created serial bubbles. And then move on. You have enough on your plate without taking responsibility for the market as well. If you are not reading Over My Shoulder you’re missing out. The combination of my remarkable set of friends who let me send you their letters (which are often behind pretty high pay walls), not to mention my longtime friend and associate Patrick Watson’s ability to summarize and interpret them for you, makes for what I think is the best curated information source anywhere. I could say it’s priceless, yet it’s actually quite inexpensive. At least that’s what this not so very humble analyst thinks. One last plug: You do not want to miss the 2019 Strategic Investment Conference, May 13–16 in Dallas, Texas. My team will be sending you multiple links to sign up. Do it early and get the early bird price. I promise this is going to be the greatest SIC ever. When you see the line-up, you will definitely want to be in the room. I am pretty sure it is going to sell out, so don’t procrastinate. Sign up now, book your room, and make your airline reservations. Be there. I could go on, but the letter is getting long and it really is time to hit the send button. As we approach the new year, I realize I have been writing this letter for going on 20 years. Many of you have been with me since the beginning. And some of you found me just last week. To those who are new, I say an enthusiastic “welcome aboard.” Admittedly, I may not be everyone’s cup of tea, but I am extraordinarily grateful and humbled by those who have been along for what has been an extraordinary ride. The markets in the future are not going to get any easier to navigate than they have been the last few weeks. In fact, if anything, they are going to become even more difficult. And so is the social environment, not to mention the political environment. We are in the last half of the Fourth Turning (the end of a repeating 80-year cycle). In fact, we are approaching the last half of the last half, and for the last 500 years of Anglo-Saxon history, that has been the most volatile period of history, with wars and worse often accompanying that period. I’ve been having deep and long conversations with Neil Howe and Pat Caddell and other political and social commentators that frankly leave me troubled… indeed, very troubled and worried. It isn’t time for dried food, guns, and gold, but it is also not going to be business as usual. More on that in future Thoughts from the Frontline letters. I will be here to walk with you every step of the way, offering a few insights of my own but especially those I pick up from my wide range of contacts, who are also trying to navigate through what many of us think will be the most tumultuous time in our lives. It is not just markets that are the problem anymore. There are also major opportunities as well. I will try and point out both. That being said, thank you from the bottom of my heart. It is with excitement and a full heart that I look forward to 2019. It is going to be our best year ever! I hope you can spend some time with friends and family over the New Year’s holiday. My best to you as we walk bravely, without fear in our hearts, with the excitement and wonder of little children, not knowing what we face, into the future. It is going to be awesome! When John Bolton, US national security adviser, unfurled President Donald Trump’s “New Africa Strategy” in Washington this month, he cited an incident from 2018 in which the Chinese military allegedly shone blinding lasers into the eyes of two US airmen. The crew had been flying a mission over the strategic African state of Djibouti where Chinese and US soldiers have been peering at each other warily since Beijing opened its first overseas military base in the Red Sea port last year. As in most of what followed during Mr Bolton’s address, Africa figured not so much as protagonist as backdrop, the green screen on which the important business of “Great Power” rivalry was projected. Yet the US initiative could turn out to be an opportunity for the continent’s 54 countries. In the US policy document, China was mentioned 14 times. Neither South Africa nor Nigeria, Africa’s two biggest economies and Washington’s natural allies, got a look in. Russia, Mr Bolton’s other bogeyman despite its relatively modest African presence, got six mentions. Mr Bolton painted an almost entirely negative picture of the continent: a cesspit of poverty, disease, terrorism and corruption. Though the continent has its share of these ills, he missed the progress made during two decades in which wars and coups have receded and many of the world’s fastest-growing economies have been African. US soft power in Africa was unrivalled, Mr Olojede said, mentioning the cultural values of freedom and democracy and the life-saving HIV programme launched by former president George W Bush. “The US doesn’t need to compete with China on how many bridges it can build,” he said. Mr Bolton said plenty to which few could object. The US should stop wasting aid money, he said, implying that the policy hitherto had been to pour US taxpayer dollars down the nearest village well. It should withdraw support for ineffective UN peacekeeping operations and remove its backing for corrupt governments. If Mr Bolton’s view of Africa was reductionist, said many who heard the speech, so was his portrait of China. “China uses bribes, opaque agreements and the strategic use of debt to hold states in Africa captive to Beijing’s wishes and demands,” he opined. Aubrey Hruby, co-founder of the Africa Expert Network, said some good could come out of a speech that at least sought to articulate a strategy. China, she said, had galvanised Washington into thinking more seriously about a continent where companies from Turkey to Brazil and from India to South Korea saw more opportunity than threat. Until recently, for example, Mr Trump had been inclined to scrap the Overseas Private Investment Corporation, whose support of US businesses in difficult markets had been dismissed as corporate welfare. Instead, goaded by the idea that China was stealing a march in Africa and elsewhere, the president reversed course, more than doubling the corporation’s budget to $60bn. Contrary to the stereotypes, investment not aid is a message that chimes in Africa. It has taken a Chinese laser to stir Washington into recognising it. Washington spends more than the next 10 countries combined on its military forces. Since the Soviet Union collapsed in 1991, the U.S. has been the undisputed global superpower. It’s difficult to overstate how important and unprecedented the Soviet collapse was to the global balance of power. For the first time in 500 years, no single European power dominated the world. For the first time in history, the world’s center of gravity was in the Western Hemisphere. One of the areas where U.S. dominance is most visible is its military strength. The U.S. spends more than the next 10 countries combined on its military forces. This is in part a reflection of its economic strength – the U.S. represents nearly a quarter of the global economy. Still, the United States isn’t omnipotent. Its power, like all power, has limits, and the scope of U.S. foreign policy has begun to outstrip even the tremendous resources of the United States. It identified China and Russia as long-term competitors for global power and sought to isolate them through a combination of sanctions, tariffs and other economic instruments. It also identified Iran and North Korea as potential threats to its allies in the Middle East and East Asia and has committed substantial resources to constraining both. The U.S. remains at war in the Muslim world, though it plans to withdraw from Syria in the coming months and pull thousands of troops out of Afghanistan. 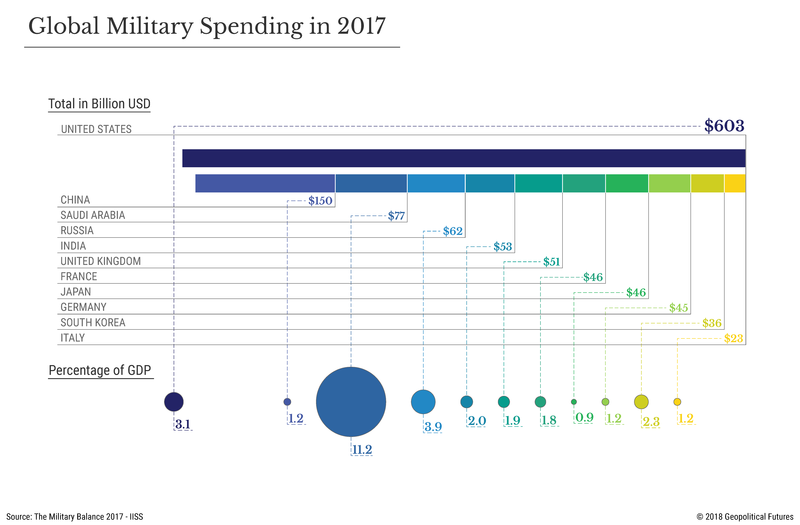 So despite surpassing all other nations in military spending by far, the U.S. is increasingly reliant on its allies to help manage conflicts and challenges abroad. - The Fed has proven it does not control the stock market. - The Fed has proven it does not control currencies. - The Fed has proven it does not control rates. - Is the Fed really in control? There are certain perspectives that are so ubiquitous that it would be considered blasphemous to ever oppose them. Two of the most common are that fundamentals direct the stock market and that you cannot fight the Fed. While I have provided much evidence and explanation as to why the former is a falsehood, allow me to provide you proof that central banks are not in control as much as many seem to believe. In fact, we often hear discussions about the PPT - the Plunge Protection Team. So, what is this "Team?" After the market crash of 1987, President Ronald Reagan created the President's Working Group on Financial Markets to recommend solutions for enhancing U.S. financial markets, preventing significant volatility, and maintaining investor confidence. The group consisted of the Secretary of the Treasury and the Chairmen's of the Federal Reserve, the Securities and Exchange Commission and the Commodity Futures Trading Commission. Thereafter, this "Working Group" became known as the Plunge Protection Team, and many believed that this "Team" would intervene at the appropriate moments to prevent significant volatility in the markets, which would, thereby, prevent market crashes in the future. As the myth has been perpetuated, it can supposedly do this by convincing banks to buy stock index futures, or by having the Federal Reserve do the buying. The goal was supposedly to allow markets to correct in an "orderly" fashion so as to "maintain investor confidence" in our equity markets. Since 1987, I don't think that anyone can fool themselves into believing that we have not experienced periods of significant volatility, despite the PPT/Central Bank being "on the job." February of 2009: Equity markets declined 23% within three weeks. May of 2010: Equity markets experienced a "Flash Crash." Specifically, the market started out the day down over 30 points in the S&P 500 and proceeded to lose another 70 points within minutes. That is a loss of 9% in one day, but the market did manage to close down only 3.1% in one day! Based upon these facts, you can even argue that significant stock market "plunges" have become more common events since the advent of the Plunge Protection Team, especially since we have experienced more significant "plunges" within the 20 years after the supposed creation of the "Team" than in the 20-year period before. Moreover, I have outlined in the past that central banks are not even in control of their own currencies, despite strong belief to the contrary. Back in July 2011, I was expecting a multi-year 3rd wave rally to take hold from the low 70s in the DXY with an ideal target of 103.53. Now, I want to remind you again that when I made this call back in July of 2011, the DXY hit a low of 73.42. So, that meant I was expecting a 41% rally in the DXY. And, in the FOREX world, that is a massive move. As you can see from the attached chart from 2011, I was looking for a major 2nd wave low being struck in the DXY, followed by a multi-year rally wave 3 to the 101-103.53 region. Moreover, I also want to remind you that I maintained this expectation when the Fed was throwing their QE bazookas at the market. For this reason, most market participants at the time were quite certain that the dollar was going to crash. So, most likely viewed my call for a multi-year rally in the dollar as ridiculous, and that is putting it mildly. So, even with all that QE being thrown at the dollar, we still saw the massive rally in the DXY that I was expecting. Yes, this was certainly counter-intuitive to common market expectations. But this was a clear case study in the fact that the fundamentals or the Fed did not control this market, while market sentiment was the clear driver of price, as our analysis of market sentiment kept us on the correct side of what was an "unexpected" market rally. Moreover, as the Fed began rate hikes, many were certain that it will be a catalyst for the dollar to rally strongly. However, I was looking for the dollar to enter into a multi-year pullback once we struck our long-term target. Now, despite the Fed raising rates, once the market slightly exceeded our long-term target (the high struck in the DXY was 103.82, whereas our target from 2011 was 103.53), the DXY began to pull back as we have expected. Yet, most who believe that the Fed controls this market seem to be in disbelief, as the DXY "should" have been rallying when the Fed was tightening. You see, commonly understood economic theory suggested that reducing the available debt through the QT process "should have" caused the dollar to rally. But, clearly, that is not what happened. The same has happened with the Chinese Yuan. By the middle of 2017, China spent 1 trillion US Dollars (a quarter of their FX reserves) over the prior 3 years in an attempt to prop up the Yuan. However, the Yuan still lost close to 14% of its value against the USD over this time period. Ultimately, when truly tested, as in the situations above, the markets have moved completely opposite the "manipulation" attempts by the central banks. They have proven themselves powerless in the face of market forces. The market will do what the market will do despite the actions of the Central Banks. Believing otherwise is ignoring the truth in the market as presented by history and price action, and replacing it with the logical fallacy that correlation equates to causation. But I can assure you that those that maintain these fallacious beliefs will feel significant financial pain when the next crash does occur, and the Fed will be powerless to stop it. If you need another example, several years ago, the folks at Elliott Wave International put together a long-term study of T-Bill rates between 2000 and 2012, representing how the Fed clearly follows the market and does not lead. If you are still not convinced, of late, we have seen yet another example of how the Fed and the market seem to be at odds. I want to show you a few charts from the last several months during which the Fed was raising rates. First, in October of this year, I began preparing the members of The Market Pinball Wizard for an impending change of trend in the TLT. For those of you that may not know, the TLT is the iShares 20+ Year Treasury Bond ETF, which seeks to track the investment results of an index composed of U.S. Treasury bonds with remaining maturities greater than twenty years. So, as you can see from the attached chart, I was looking a bit lower in the TLT before a strong expectation of a turn higher in this fund. Moreover, when price in the TLT turns higher, it means rates are turning lower. Now, in November, you will see that we hit my "Major Support" target in the TLT. But, as I explained in the chat to my members, I thought we would get one more lower low. In fact, I noted that I was going to be a buyer at the 113 region in the TLT, with my longer-term target represented by the box in the upper right side of the chart. Again, take note that my expectation was that we would see a rally off this support region. Moreover, consider that this was during a period of time in which the Fed was quite clear of its intentions to continue raising rates. If you take a look at the chart as it stands today, we got that lower low in the TLT, and the market then reacted quite strongly to the upside. And, interestingly again, this was during a period of time in which the Fed was quite clear of its intentions to continue raising rates. So, you tell me, is the Fed in control, or is market sentiment in control? The partnership at the center of European integration is unraveling just when Euroskeptic forces are coming together. If French President Emmanuel Macron and German Chancellor Angela Merkel cannot start rebuilding the political center, next year's European Parliament election will produce the biggest victory yet for anti-EU populists. BERLIN – The politics of Brexit is descending into chaos. The European Union is fragmenting into northern, southern, eastern, and western tribes. And now the Franco-German marriage at the center of the European project is in danger of falling apart. In May 2017, when German Chancellor Angela Merkel and newly elected French President Emmanuel Macron met for the first time, many hoped for a renewal of vows. Crowds of pro-European well-wishers urged them on. Macron, the fresh-faced reformer, seemed to have a Midas-like political touch. And Merkel was at the height of her power on the international stage, having been deemed the new “leader of the free world,” supplanting the “very stable genius” in the White House, Donald Trump. Quoting the German author Hermann Hesse, Merkel observed that, “There is magic in every beginning,” but added a caveat: “The magic lasts only when there are results.” Eighteen months later, the magic most certainly has not lasted. Merkel has now handed over the leadership of the Christian Democratic Union (CDU) and will not seek another term as chancellor. And Macron, far from walking on water, has been trying not to drown in a sea of yellow-vested protesters. As both leaders’ political stars have waned, so, too, have the prospects for a renewed Franco-German relationship. Just when Macron was placing his hopes in Merkel’s power to lead at the European level, her grip on domestic power was slipping. After the German federal election in September 2017, Merkel struggled for six months to form a government. She did not want to form a minority government, and the remaining opposition parties didn’t particularly want to govern with her. But the real damage to Merkel’s power came from within. Leading politicians in the CDU’s Bavarian sister party, the Christian Social Union (CSU), have attacked Merkel’s decision to welcome Syrian refugees in 2015, and even cozied up to some of her sworn enemies, not least Hungarian Prime Minister Viktor Orbán, Austrian Chancellor Sebastian Kurz, and Matteo Salvini, the Italian deputy prime minister and interior minister. These populists and their CSU sympathizers have used immigration as a wedge issue to attack Merkel. Macron, meanwhile, has sought to make French renewal synonymous with European renewal. Since coming to power, he has pursued a new grand bargain with Germany. In exchange for France finally getting a grip on its finances and reforming its public sector and labor market, Germany would back Macron’s proposals to deepen EU and eurozone integration, including a joint eurozone budget, an EU finance ministry, and more unified foreign and defense policies. Though Merkel recently agreed to a joint budget in principle, many in France now suspect that Macron has been duped. Early in his presidency, he introduced a series of unpopular measures, slashing the wealth tax and cutting social benefits. More recently, he rolled out a fuel-tax increase to keep this year’s deficit below 3% of GDP, in the process unleashing the sea of yellow vests now laying siege to his administration. In response, Germany has offered Macron essentially nothing. It has dragged its feet on completing a banking union and introducing eurozone investment bonds, and has paid only lip service to the idea of a joint budget. Even on defense policy, which could serve as a stand-in for meaningful economic reforms, Germany has put up resistance, watering down EU proposals for an “avant-garde” grouping and balking at Macron’s proposed European Intervention Initiative (EI2). The next few months will almost certainly deliver more disappointments for Macron, and possibly even a Franco-German bust-up. After all, at a recent meeting of EU finance ministers, Germany struck yet another blow against Macron by watering down his proposal for a new digital tax on tech giants such as Google and Facebook. Though the proposal had broad support, the Germans worried that the US would retaliate against their auto industry. France and Germany are falling out just when anti-European forces are coming together. With an eye toward the European Parliament election in May, Orbán and Salvini are actively working to create a populist federation that includes both the anti-austerity left and the anti-immigrant right. Their goal is to capture at least a third of parliamentary seats, as well as a blocking minority on the European Council. The Euroskeptics’ main opponents are not politicians in their own countries, but rather Macron and Merkel. And the problem for Macron and Merkel is that they cannot necessarily count on French and German voters to support them in leading EU reforms. Indeed, far from seeing Merkel as a brake on deeper integration, many Germans regard her as overly pro-European. As for Macron, he may be the most pro-European French president in decades, but he could find himself in the position of having to run against EU budget rules that are standing in the way of his domestic reforms. 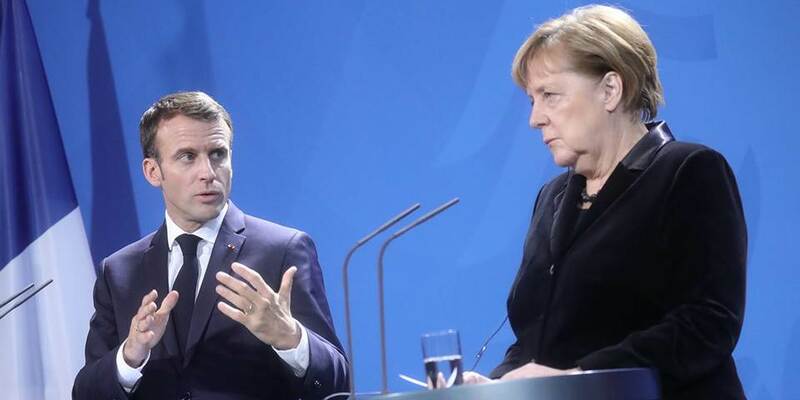 The danger now is that Macron and Merkel will be lured into singing along to Salvini and Orbán’s tune. Their task is to avoid that trap and find a way to reinvent the political center, before it is too late.